This three-year study program leads to the award of a European bachelor’s degree (bakalář, Bc.) 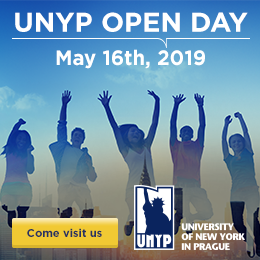 awarded by UNYP and accredited by the American International Accreditation Council for Business Education (IACBE), and the Czech Ministry of Education, Youth and Sports. This concentration in Human Resources prepares students for their professional careers by offering several specialized courses in the last two semesters (the last year) of their study at UNYP. The courses are taught by skilled and experienced lecturers with proven expertise and credentials in human resource management. Do you have a question? Are you ready to apply? Our admissions team is ready to answer your questions or help you with your application! Our team can also arrange a campus visit to meet our students and professors or sit in on a class. If you would like the try the UNYP experience you can even be a UNYP student for a day.